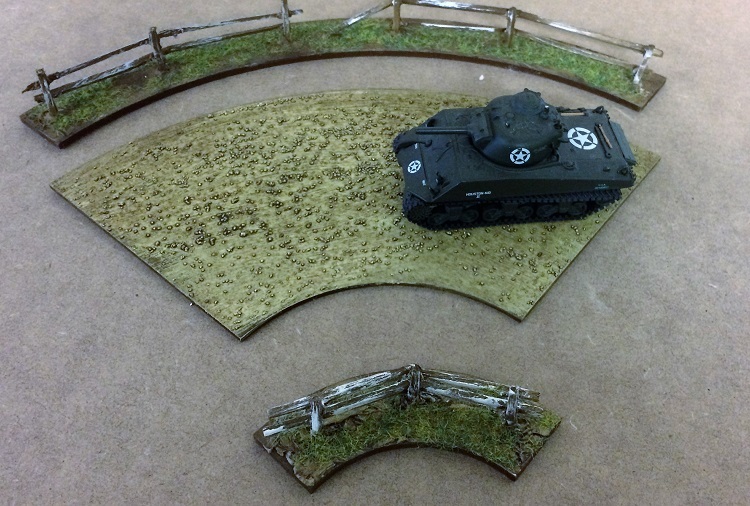 Designed for 20 -28 mm Wargaming. One outer Fence section curve and One inner piece. All pieces are hand made, painted and flocked ready to go. Designed to go with the Large Road section set. NB Tanks shown is 20mm scale not included in set.